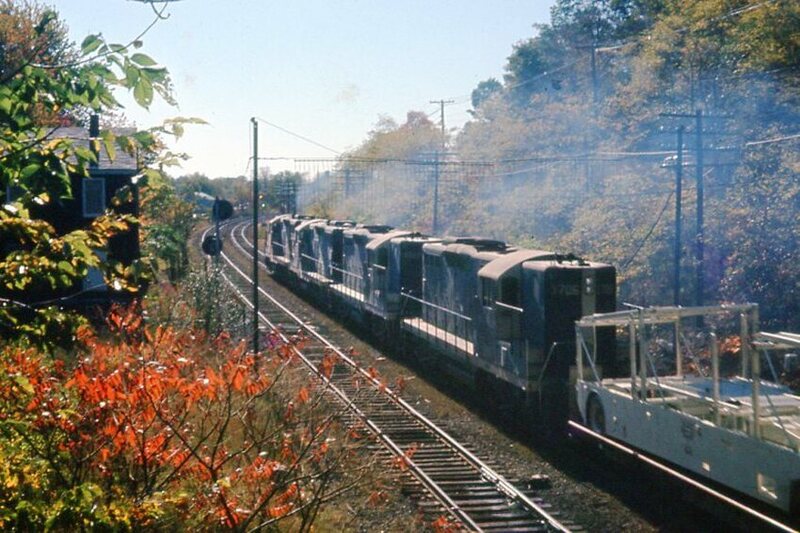 Trailing cars of this piggyback train are still negotiating the curve at Belmont station and this brace of four GP-9s are notching up as the approach signal indicates "Approach Medium". This was taken from one of the abutments of the old covered wooden truss bridge at Clark Street. Note the empty car carrier trailer and the old "tell tale" wires that used to be required for every bridge. Photographed by Ron DeFilippo, 1963.